You’ve been meaning to get the girls together for dinner. But deadlines, tax time, and that pesky thing called "I don’t feel like cooking" are all conspiring against you. Fret not, well-meaning hostess: Tesori’s new One Ingredient Dinner Party is just the thing for you. The soirées work like this: A hostess (that’s you!) invites nine or more friends to a dinner party at the Loop restaurant. You gather in the semi-private dining room and dish while chef Andrew Deuel whips up items inspired by a seasonal ingredient. Fennel will star on the next menu, which launches April 1. For $65 per person, the chef will ply you and your pals with everything from hors d’oeuvres to meat, pasta, and dessert. Get ready for Fontina-fennel-onion pizza, tortellini with Italian sausage, and (you guessed it!) fennel...warm honey-and-vanilla-braised fennel, to be exact. Shell out an extra $20 per person, and the meal comes with wine pairings. The menu is available 'til June 30. So, what are you waiting for? Call up Tesori to book your fiesta — or start learning how to braise fennel in vanilla. And psst…if you’re not feeling fennel, wait 'til summer. The dinner party will get an entirely new main ingredient. 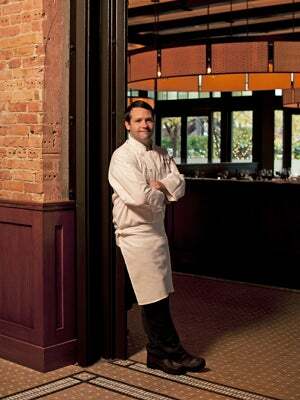 Tesori, 65 East Adams Street (at Wabash Avenue); 312-786-9911.